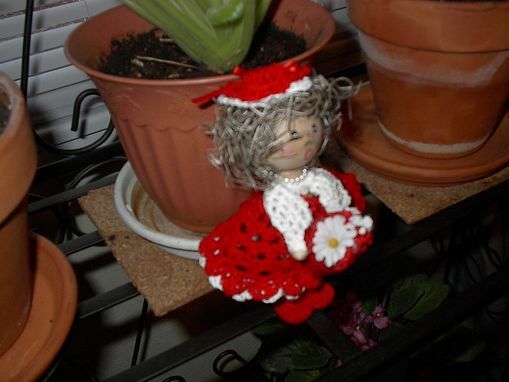 The Garden Doll is made from a wooden clothespin with a wooden head and wooden hands. She is hand painted and stands on a red heart shaped, wooden piece. 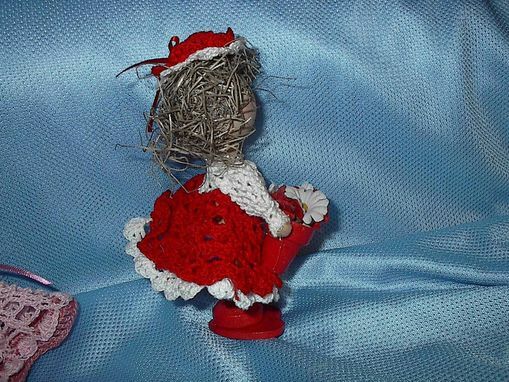 She has straw hair topped with a red and white crocheted hat. Her dress is also crocheted in size 10 thread. She is holding a red, of course, basket filled with flowers just for you. 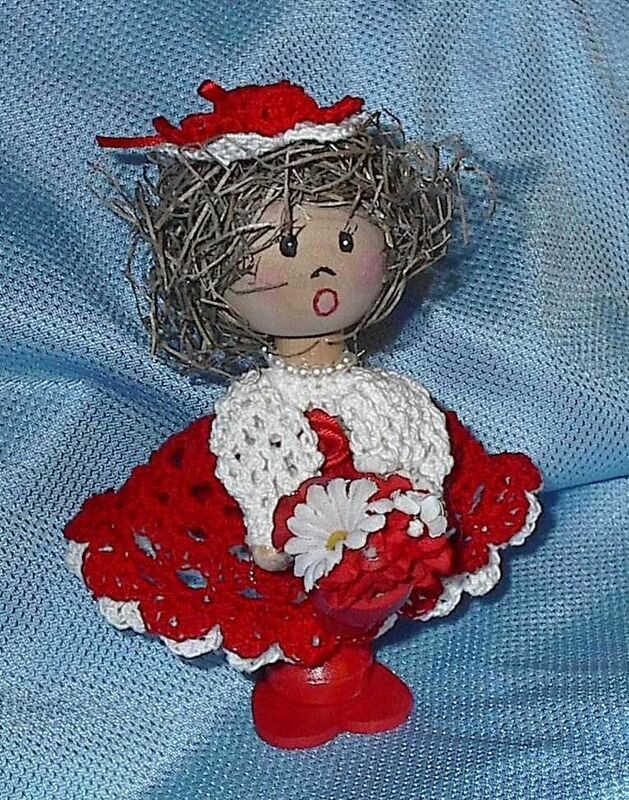 She will look great anywhere you want to put her to spruce up a lamp table or bookcase. She stands approx. 6" tall.